Meconopsis grandis is a long-lived poppy-like plant flower that belongs to the Papaveraceae (poppy) family. It is often referred to as the Meconopsis Blue poppy or Himalayan blue poppy. The flower is native to the Himalayan region and is the national flower of Bhutan. It was first brought back to Europe following an attempted expedition to Everest in 1922–6 (though it had been previously described in 1814 by the French botanist Louis Guillaume Alexandre Viguier). The Meconopsis genus itself consists of around forty species, one of these, the Welsh Poppy (Meconopsis cambric) is native to Europe, but its status as a member of the Meconopsis genus is the subject of discussion among botanists, and it may be re-classified in the future. Further to this, many of the 'species' of Meconopsis are able to cross-fertilize and produce viable seed, so may actually be varieties/sub-species as opposed to being true species themselves. Meconopsis grandis is a hardy herbaceous perennial that reaches heights of 60 to 90 cm (24–36 inches) and has a spread of 30 to 60 cm (12–24 inches). Leaves form as rosettes, and are erect and toothed. The basel leaves are mid–dark green. Stems are thick, and stem-leaves hairy. Leaves can reach 30 cm (12 inches). Meconopsis grandis photograph by Tom Bech. They bloom in late spring to mid-summer. Flowers are saucer shaped, four-petaled, reach 10 to 12 cm (4–5 inches) in diameter, and are deep blue with a yellow center. The seedpods are narrow. 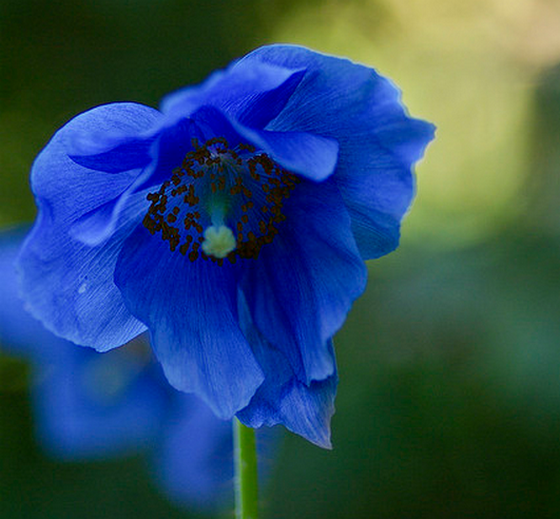 Unfortunately, Meconopsis blue poppies are very difficult to germinate, grow, and care for; indeed, many gardeners see it as a challenge of their skills to be able to grow this ornamental flower successfully. They are native to shaded mountain meadows and woodlands of the Himalayas, and these conditions may be difficult to reproduce, making it necessary to start seeds off in controlled conditions indoors and then transplanting outdoors. Ideally, they prefer to grow in humid conditions below 27°C (80°F). To Germinate: Sow the seeds thinly on the surface of two trays of gritty compost or vermiculite growing medium (ensure good drainage, and water from below) in the winter or spring. Cover both trays with a plastic bag. Keep one at 12 to 15°C (54-59°F). It should take from three-weeks to two months to germinate. The other tray should first be subjected to chilling treatment in the fridge at 4°C (39°F) for three weeks, and then kept with the other tray at 12 to 15°C (54-59°F). Hopefully, one of these trays will germinate seedlings. Once the Meconopsis grandis seedlings have reached the two leaf stage transplant them into 10 cm (4 inch) pots in compost, and grow in a lightly shaded humid location until august, and then transplant them into their final location. 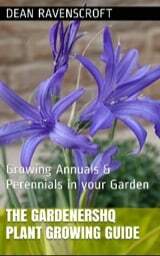 They should flower the following year; if flowering stems appear in the first year they should be cut off so that the plant can divert its energy into vegetative growth. They are able to grow in zones 5–7. Grow Meconopsis grandis in dappled partly shaded conditions. Space about 120 to 180 cm (48–72 inches) apart. Soil-type: Well-drained soil only. Slightly moist. Slightly acidic–neutral pH. Clay/loam/Peaty/Rich. Deeply dug. Care: Once flowering has finished cut-back. Do not over water but ensure soil remains moist. Soil needs to be dry in the winter to prevent crown and root-rot. 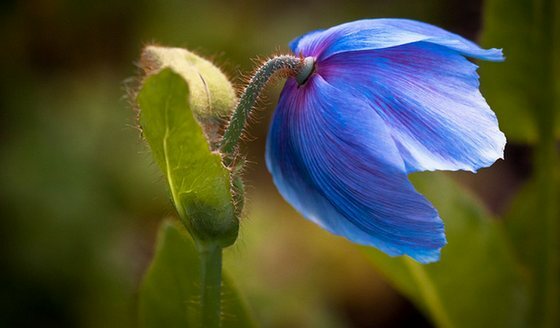 Pests, diseases and other problems: Meconopsis grandis is susceptible to slugs, snails, and downy mildew, but these are not usually severe problems. Protect from pets, as plants can be quite fragile. Root rot occurs when grown in soils with poor drainage.